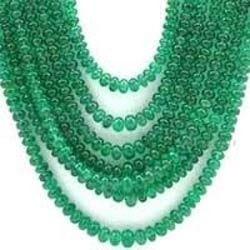 We are the leading and renowned Manufacturer & Exporter of a wide range of products which include Emerald Garland such as Emerald Tumble and Emerald Beads. 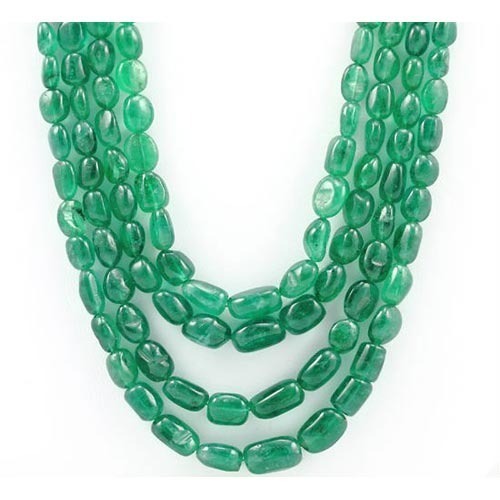 We are a leading processor, supplier, wholesaler and exporter of Emerald Tumbled Necklace. Our products are gorgeous and marvelous and easily handed. We offer these emerald tumbles at very low cost and provide timely delivery. This product is mostly preferred by newly brides because of its attractive green color. We are a leading name in the industry that brings the best quality of Emerald Beads Necklace in any shape. Our products are gorgeous and tremendous and easily handed. We present these Emerald-Beads at low cost in comparison to the market and provide timely delivery. Our Emerald-Beads jewelry mostly ideal for new brides because of its green colour and shine.